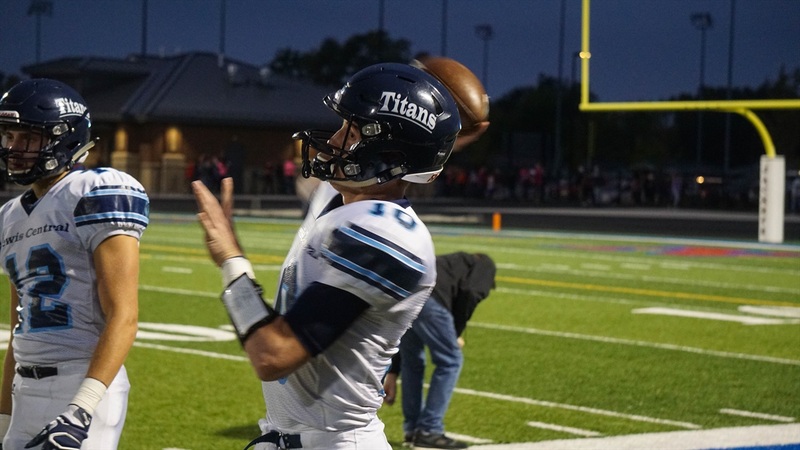 Last night I went to Council Bluffs, Iowa, to see 2019 4-star quarterback Max Duggan‍ play a road game against Thomas Jefferson High School. The Lewis Central star (6-2, 190) did not disappoint, and certainly lived up to his 4-star billing. Duggan will be in Lincoln for the Ohio State game, his first Nebraska visit of the 2017 season. Even in warmups, I could see that Duggan has a strong arm and looks like a big-time quarterback. Once the game started, it didn’t take long to see that Duggan has all the tools to be a high-level quarterback. On the first drive of the game, he had a couple of really nice throws on the run showing nice athleticism and a strong arm. He capped that drive off with a 15-yard touchdown run. The next drive was the one that made Iowa head coach Kirk Ferentz smile. 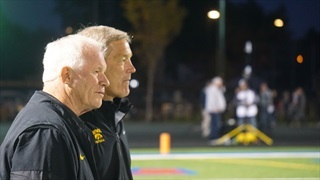 Ferentz likely has Duggan at the very top of his 2019 big board and was in attendance Friday night. On the second drive of the night, Duggan had a 91-yard touchdown run highlighted by a really nice spin move. Iowa head coach Kirk Ferentz checks in on Council Bluffs quarterback Max Duggan during the Lewis Central-Thomas Jefferson game on Oct. 13, 2017. Over the next couple drives Duggan showed his accuracy throwing touchdowns on back-to-back drives. Once it became 28-0 in the first half, I knew we wouldn’t see much more of him since he is coming back from a fractured thumb on his throwing hand. One thing I took note of is the parents and media on the sidelines that have been around Duggan for years could not stop raving about how great a kid he is and just how special of an athlete he is. I also noticed that Duggan is always encouraging his teammates and displays good leadership abilities. I came away incredibly impressed with the 4-star quarterback. In fact, I would put him as the number-one priority in the 2019 class regardless of position. Not just because he is a special talent that can run a variety of offenses due to his arm strength, accuracy and athletic ability. Also, he is a player that would be a nightmare to defend for 4 years should he go to Iowa. He is tailor-made to succeed in the Big Ten and the Huskers must make sure it’s for them.